It was certainly Exciting News! when in 2017 Nona’s Kitchen started our our own homemade Ready Meals service, which allows you to treat yourself to our delicious food whenever you want to! 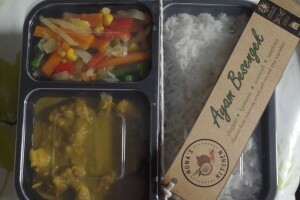 Our Ready Meals comprise one of our traditional recipes, usually accompanied by Indonesian style vegetables and long grain rice, all served in a returnable and reusable plastic container. We are proud to say that we use BPA free, 100% recyclable PP plastic containers which are both microwaveable and freezable. Your Ready Meal is served chilled, but you can keep it in the fridge for up to 3 days or freeze the container on the day of purchase. Follow Nona’s Kitchen on Facebook for the latest Ready Meal menu and updates. 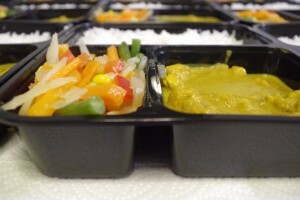 Ready Meals should be ordered in advance through our Facebook page for collection and payment at our business address. Check out our LOYALTY SCHEME page here on this website where you can find out how to earn some tasty rewards.